I'm taking a quick break from art posts. 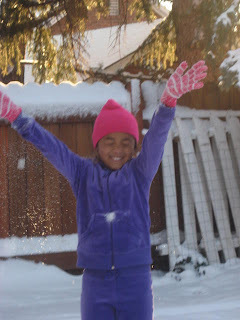 My daughter will be 9 in 2 short weeks and had yet to experience snow(something she had really wanted to do). Over Thanksgiving break we took a trip to my brother's in Reno, NV. When he said they had gotten snow the weekend before, I was expecting some patches of melted ice. Hooray! A real blanket of snow. (This picture was taken just minutes after our 8 hour car trip as she first experienced snow). 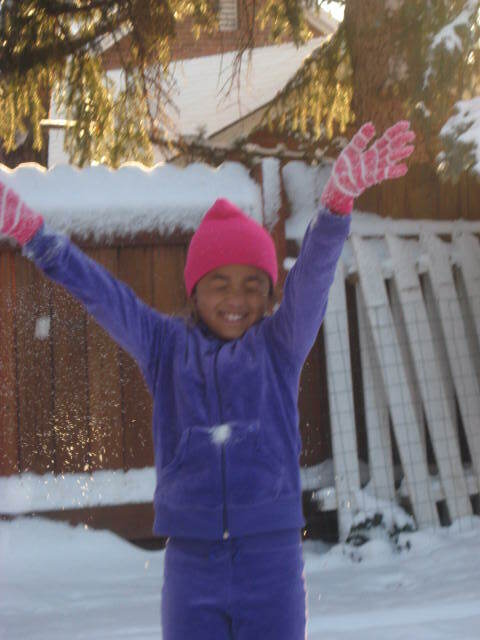 She was able to drive a snow mobile, go sleding, and have a snow ball fight. These are things many of you may take for granted in these winter months. But what a treat for this SoCal beach girl! I hope you enjoyed your Thanksgiving as much as we did!